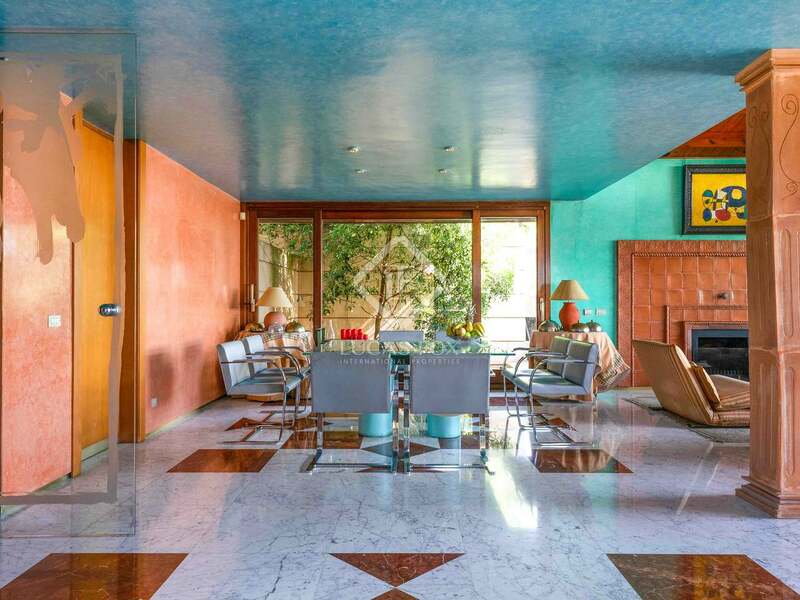 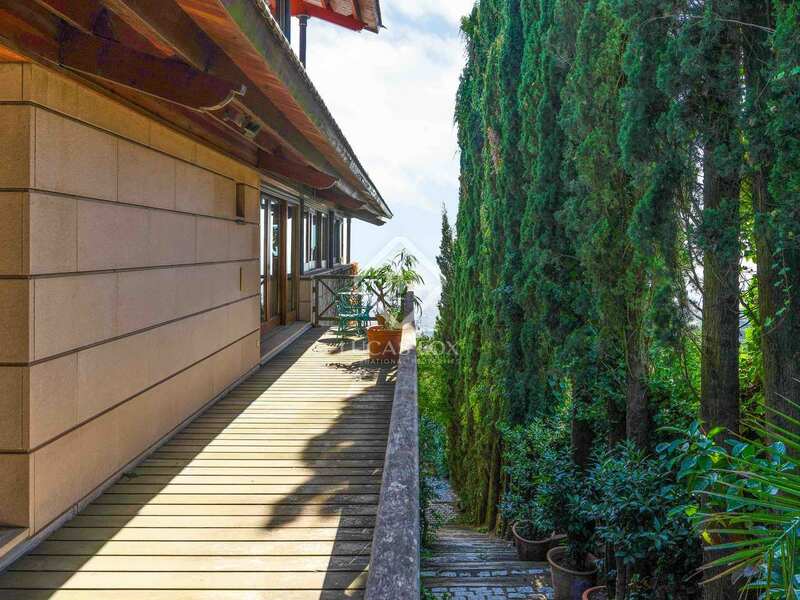 This fantastic house, with panoramic views across the city, a garden and swimming pool, was designed in 1986 by Antoni de Morogas and was the winner of the FAD prize for architecture in 1987. 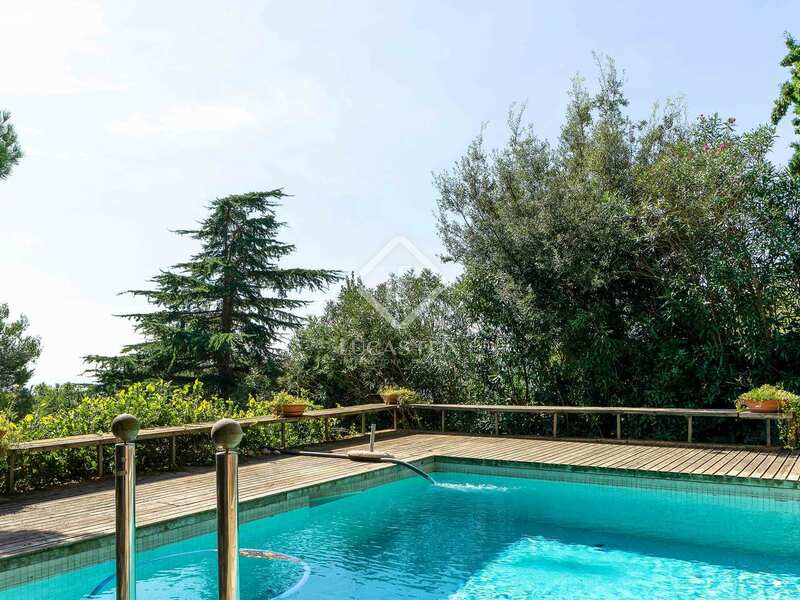 Located in the upper part of Vallvidrera, the house enjoys a peaceful setting very well connected by public transport. 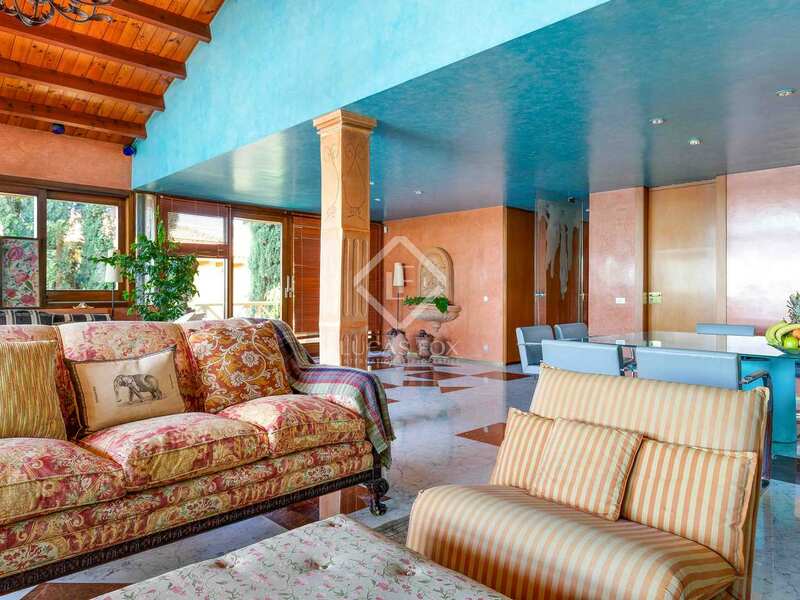 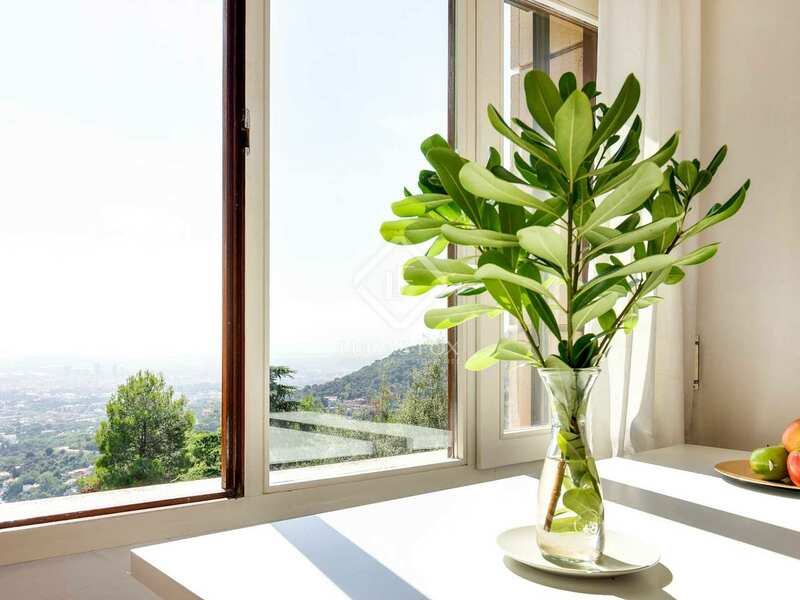 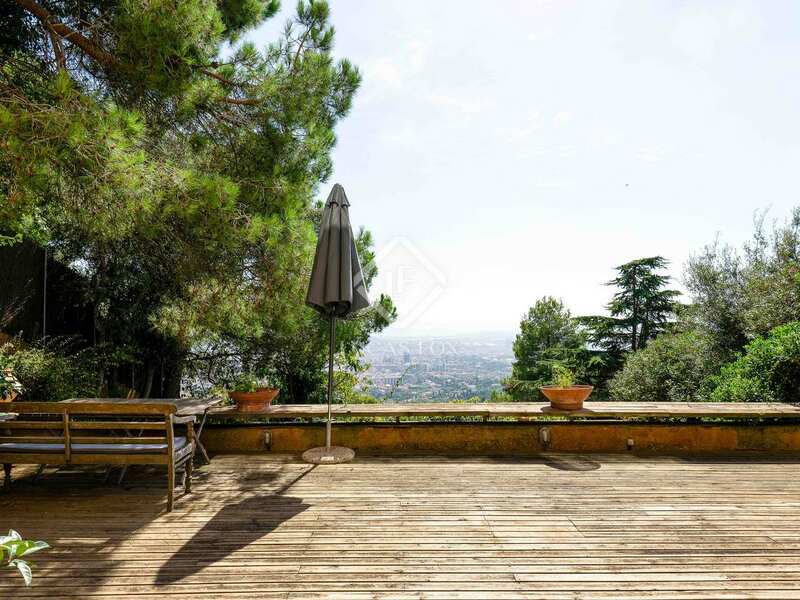 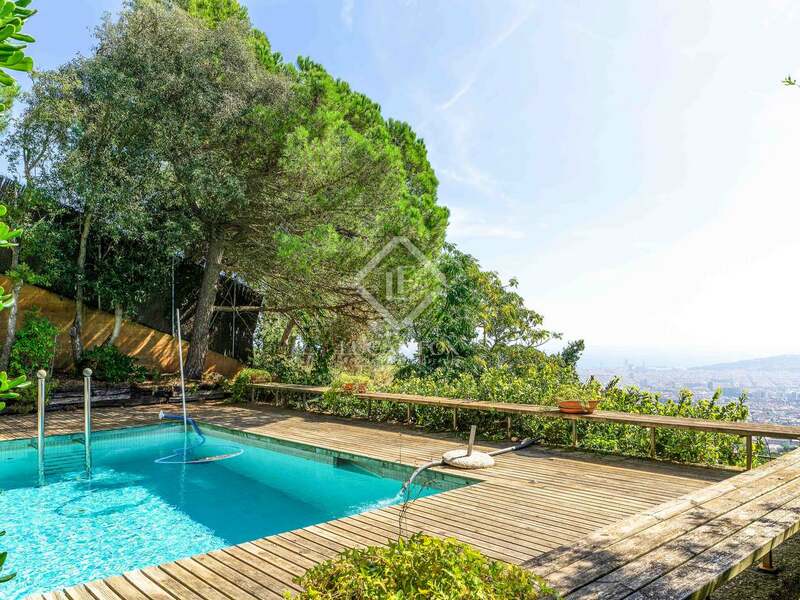 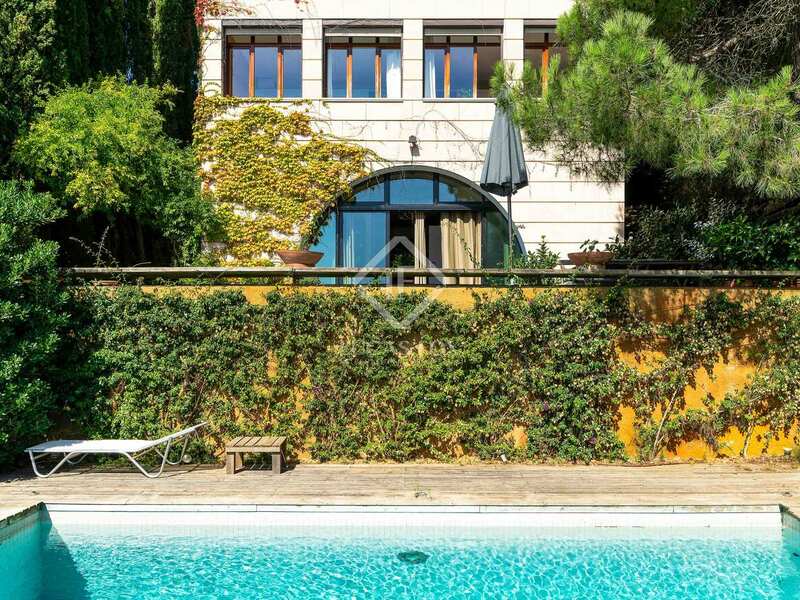 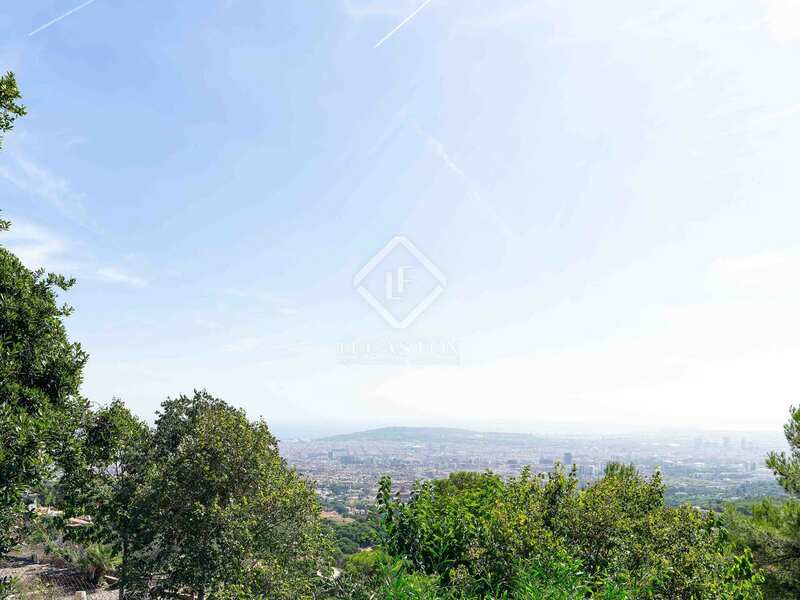 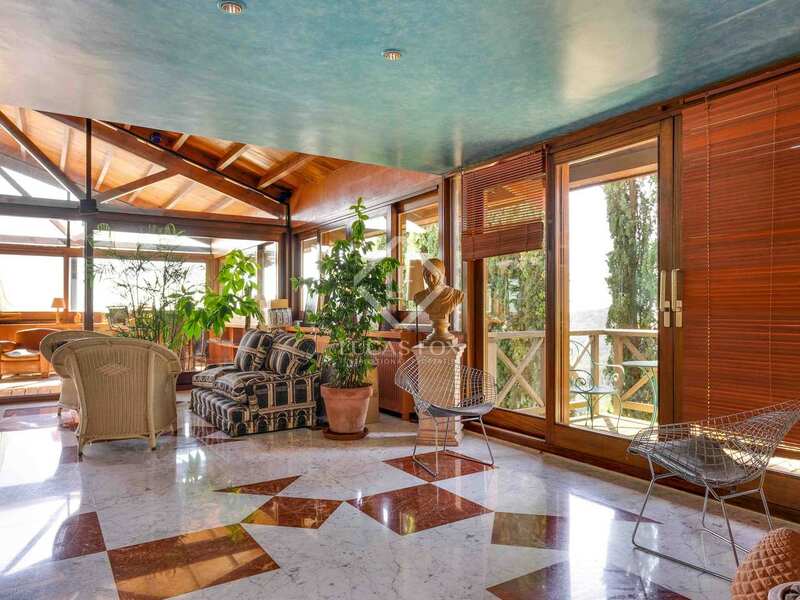 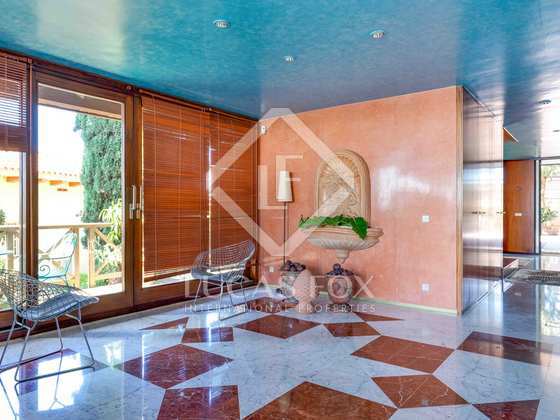 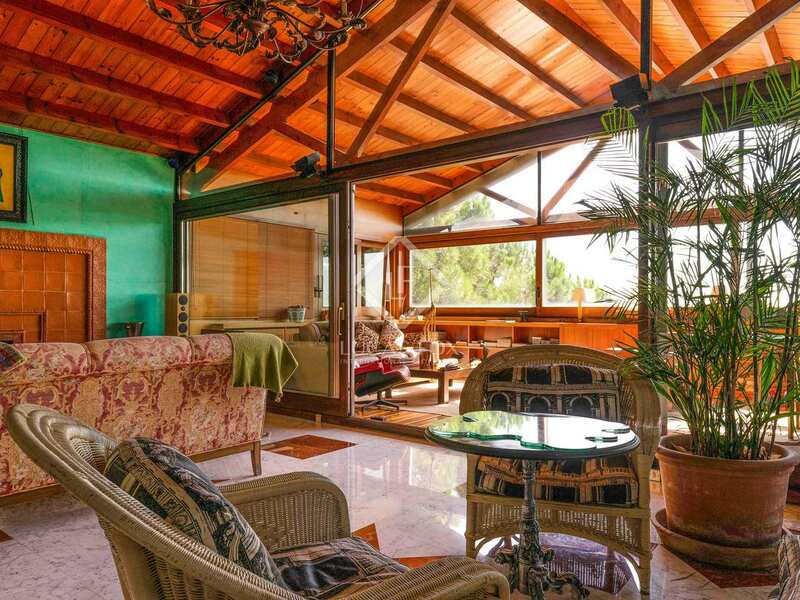 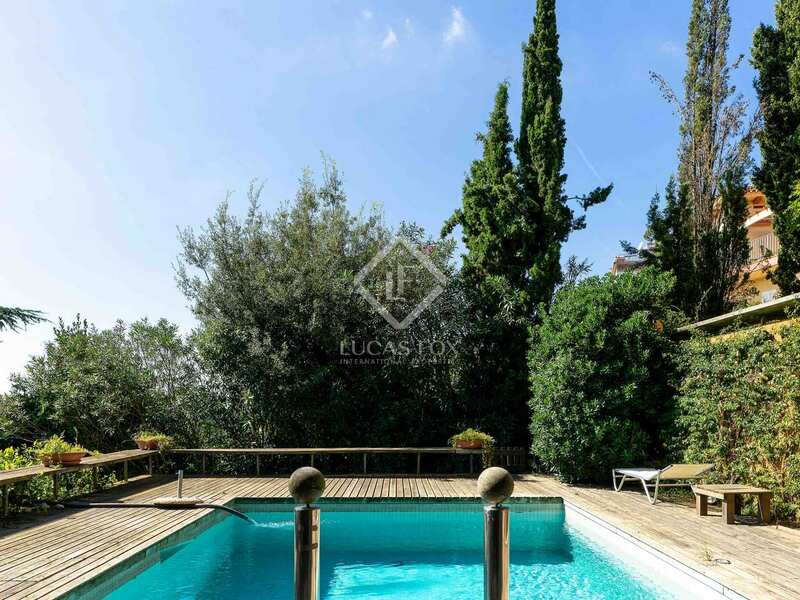 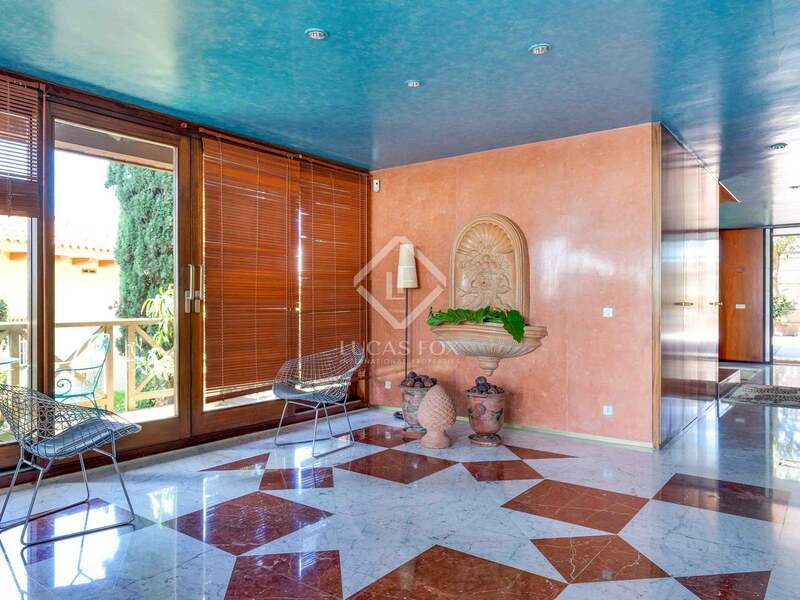 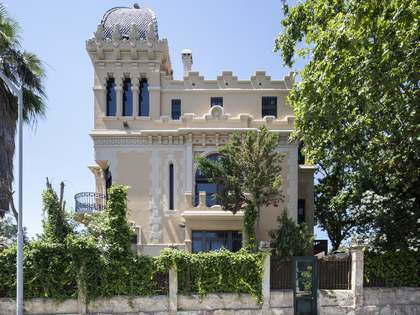 The property is set on a 1,000m² plot and has 4 terraces offering views across the city. 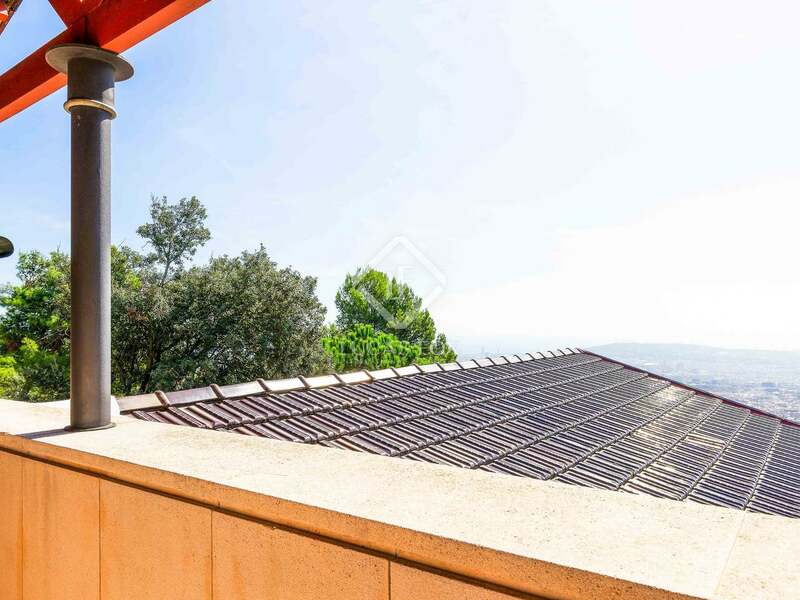 The 800m² of outdoor space includes gardens, terraces, the attractive swimming pool and a parking area for 2 cars, which could be covered to create a porch. 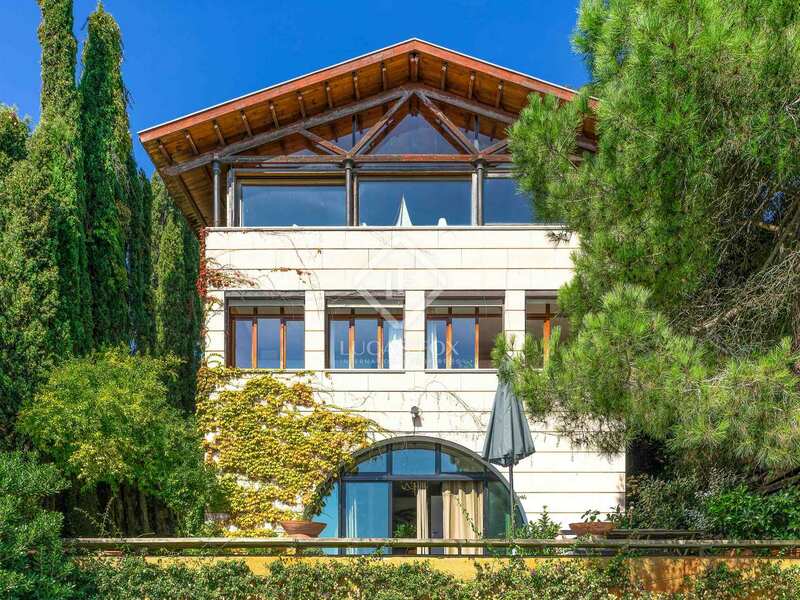 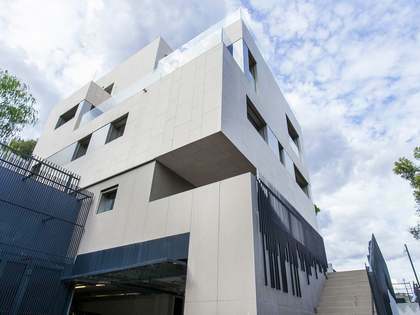 The main house measures 418m² and is distributed across 4 floors. 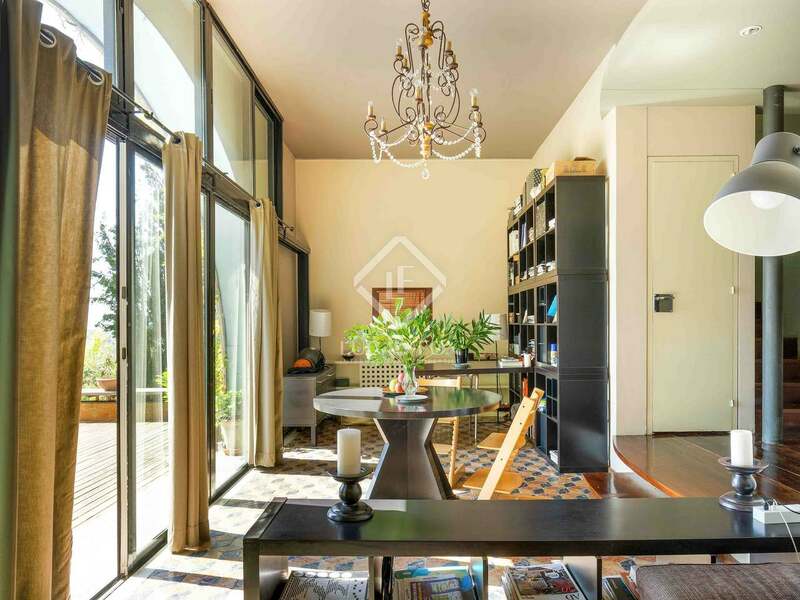 Currently divided into 2 independent units, it would be easy to join these floors using an interior staircase for which an existing project is available. 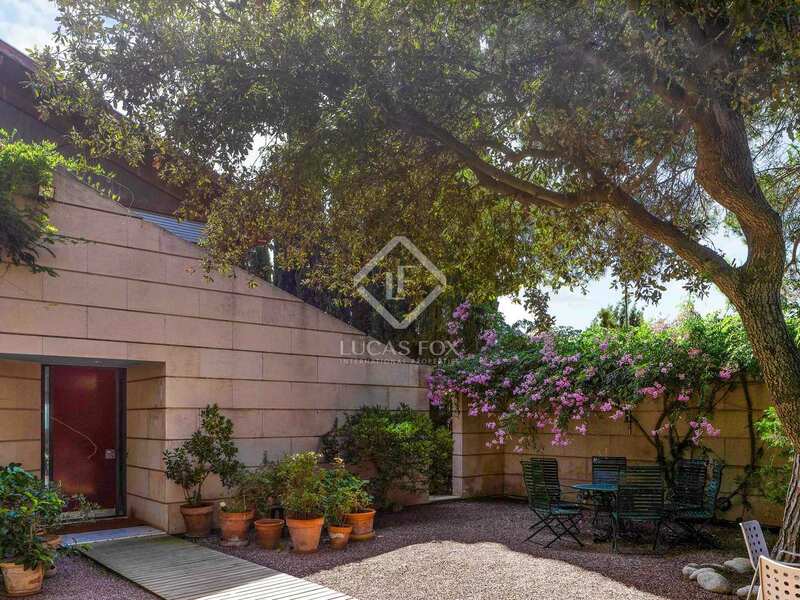 The main section of the house is accessed via the garden at street level. The ground floor (199m²) is composed of an entrance hall with a large cloakroom, and a wooden staircase leading to the upper floor. 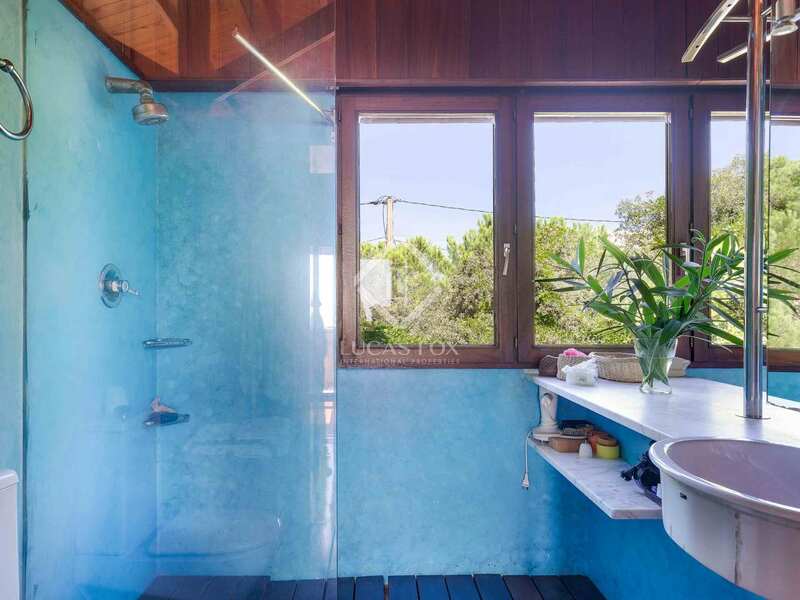 There is a guest toilet and an industrial kitchen with an annexe for food storage and refrigerators. 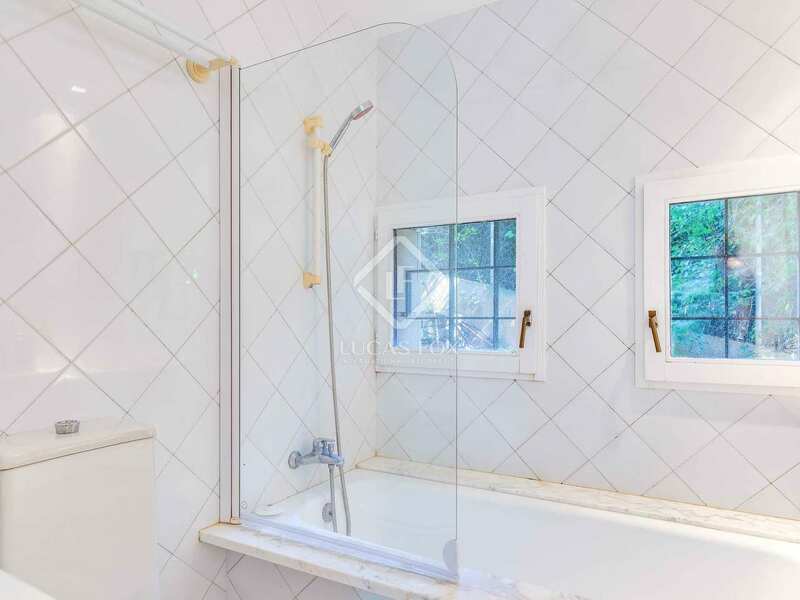 Next to this there is a staff bedroom and bathroom with independent access. 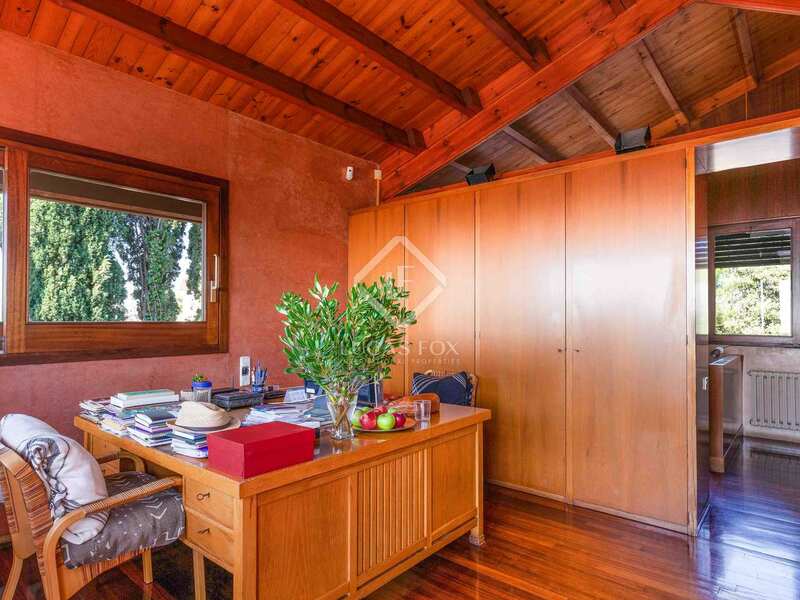 Also, beside the kitchen, we find a small annexe building with a laundry area. 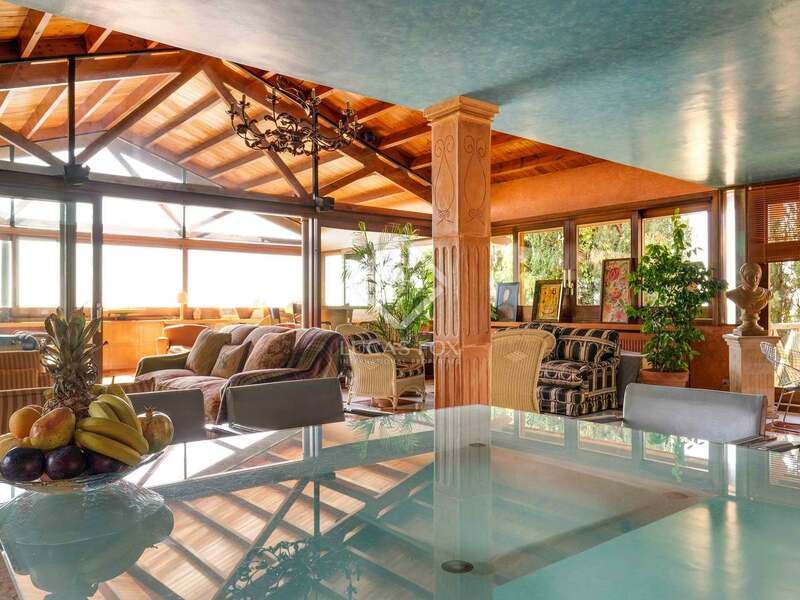 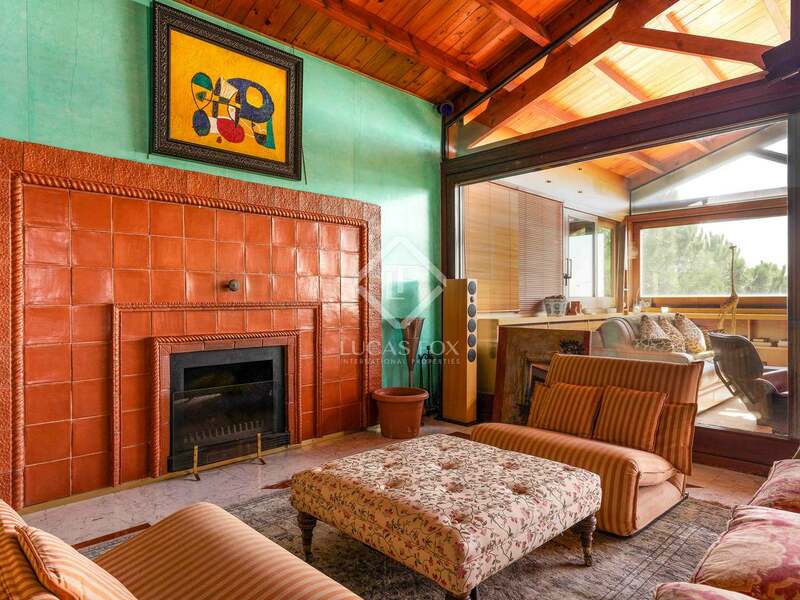 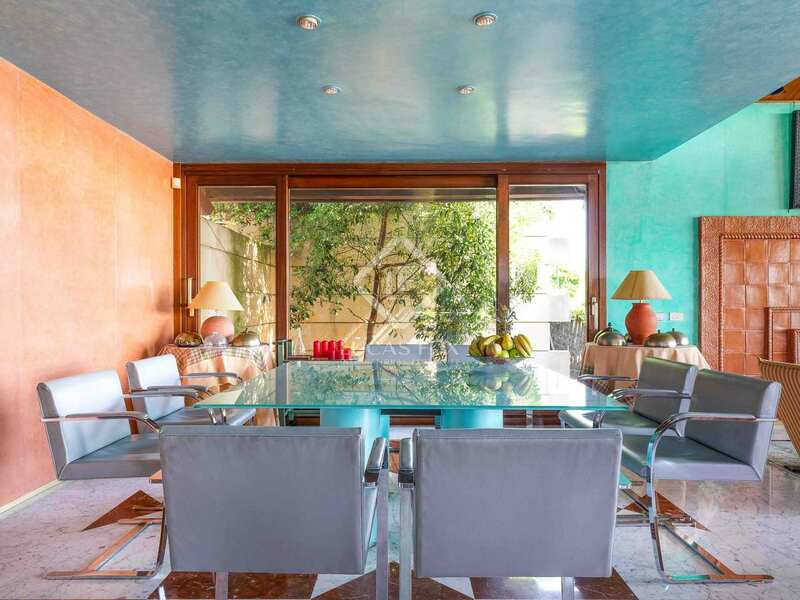 The large living-dining room is divided into 4 distinct area: the dining area with a large window, a living area with a water feature and patio doors opening onto the wooden terrace, a lounge with an attractive terracotta fireplace and a lounge for reading which opens onto a large gallery with spectacular views across Barcelona. 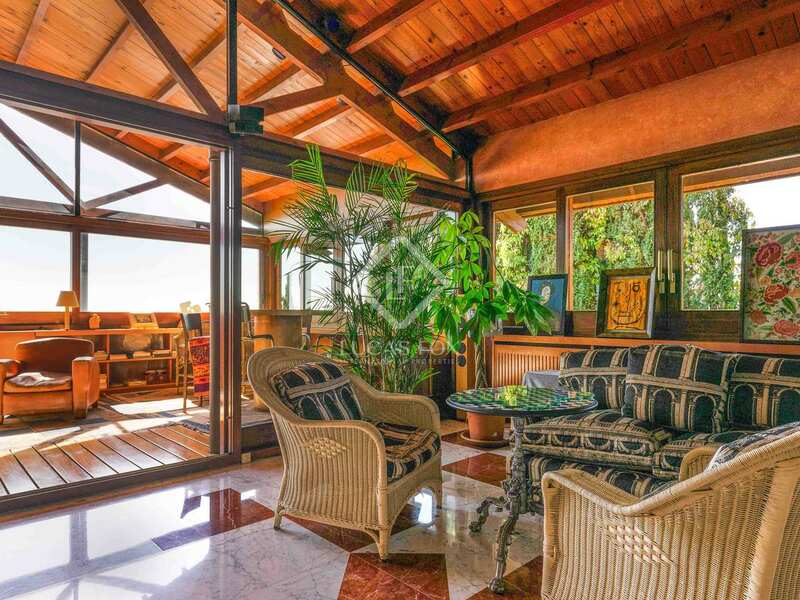 This gallery is currently used as a summer living area. 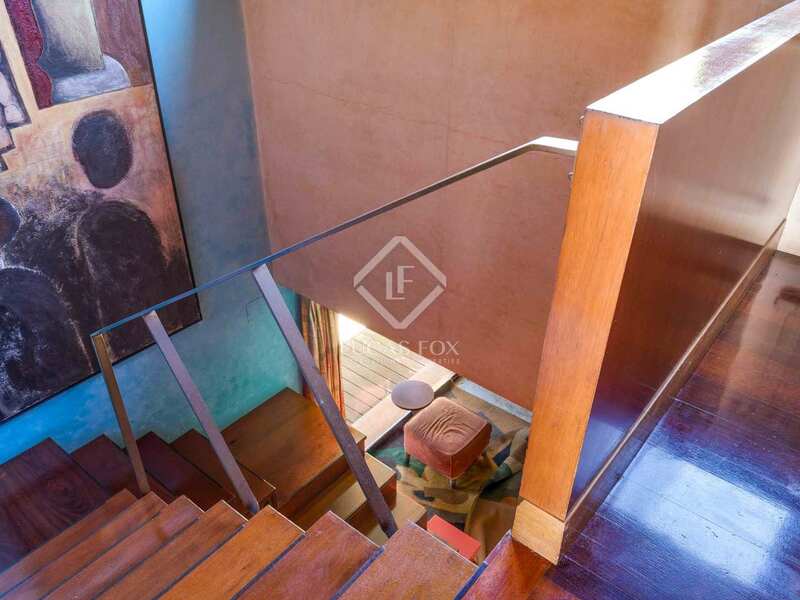 An exterior staircase leads to a 37m² storage area on a lower floor. 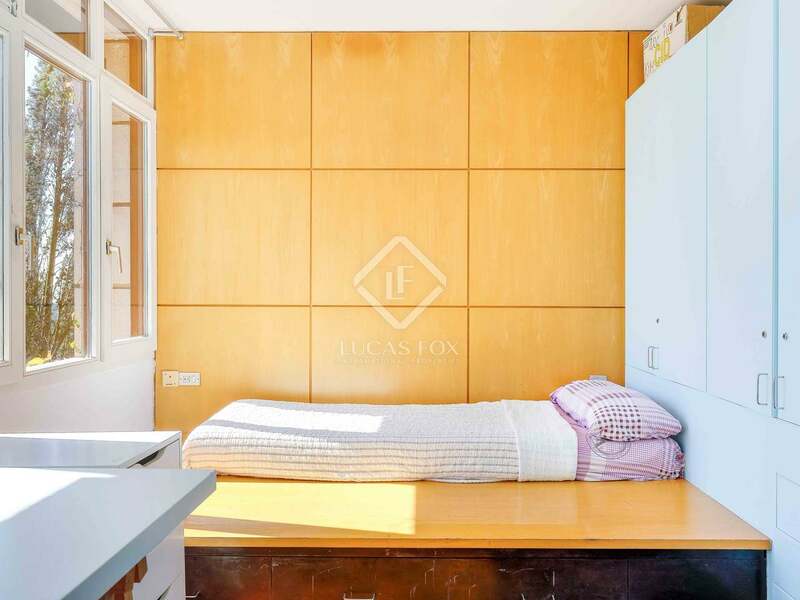 The first floor (68m²) is made up of the main bedroom with wardrobes, an office area and a large bathroom with divided into male and female. 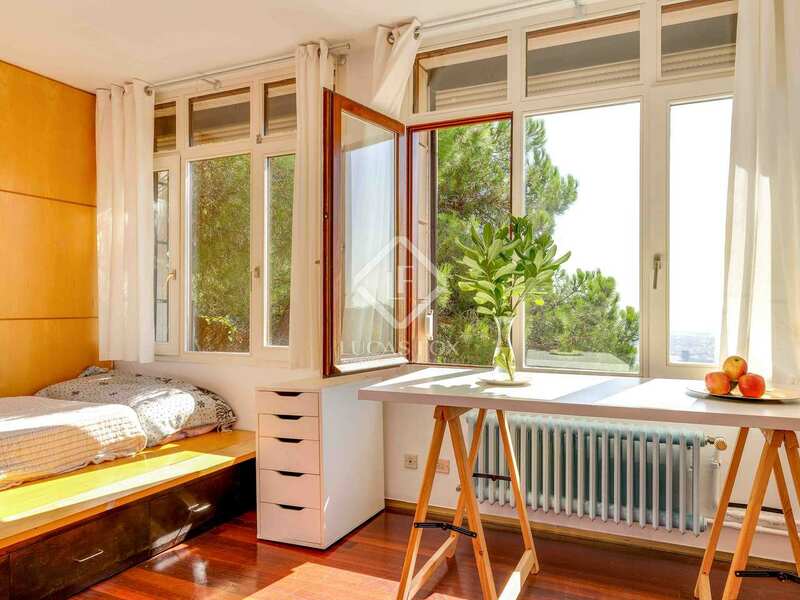 From the main bedroom a 14m² terrace with lovely sea and city views can be accessed. 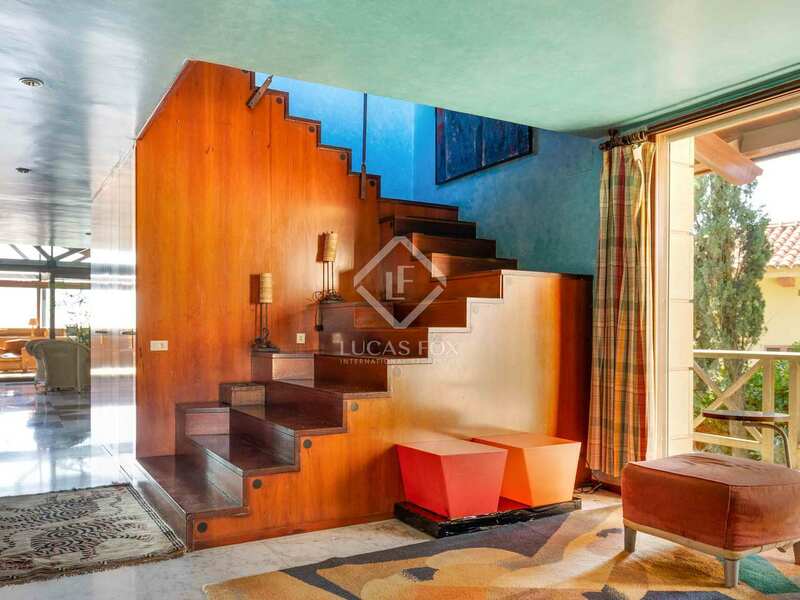 The lower section of the house, which is composed of 2 floors (not below ground level), is accessed by an exterior staircase, it would also be possible to connect these floors through the interior gallery. 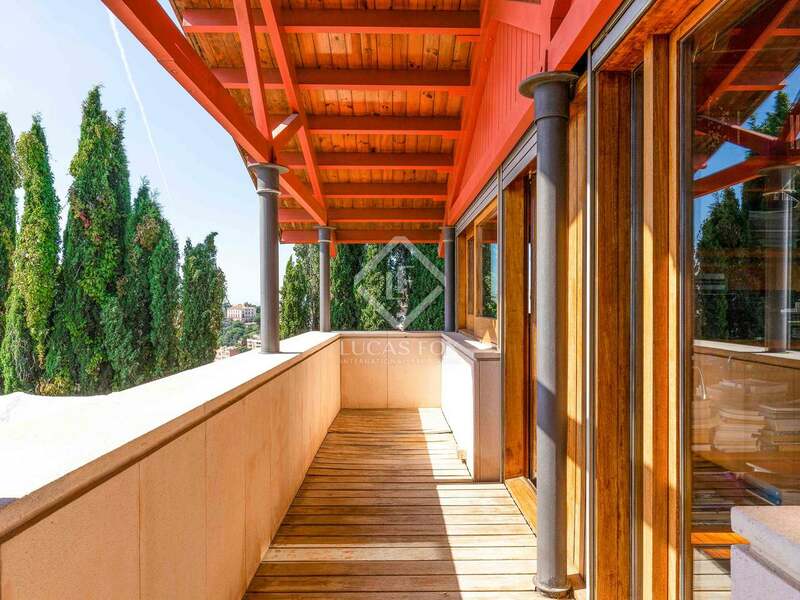 We access the first lower floor (58 m²) by a large terrace with wooden decking. 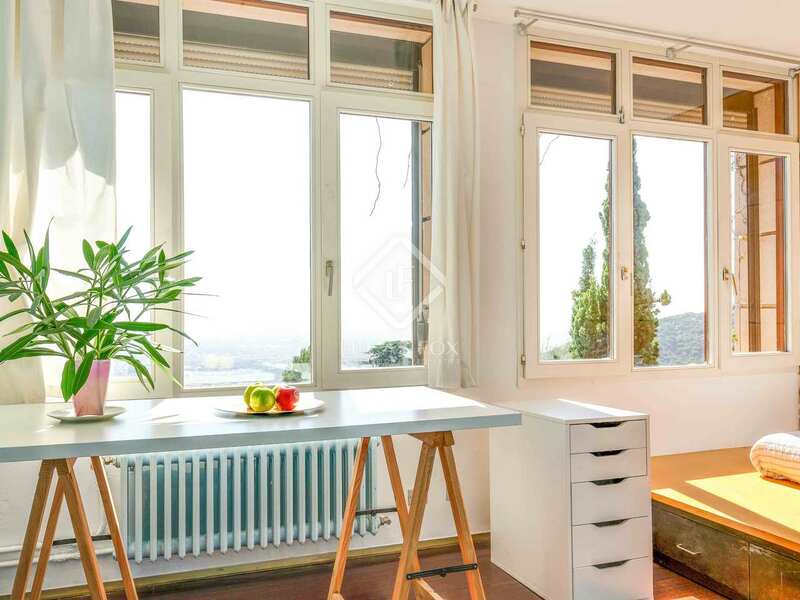 This floor has a living-dining area with an office space and large windows from which the excellent views of Barcelona can be enjoyed. 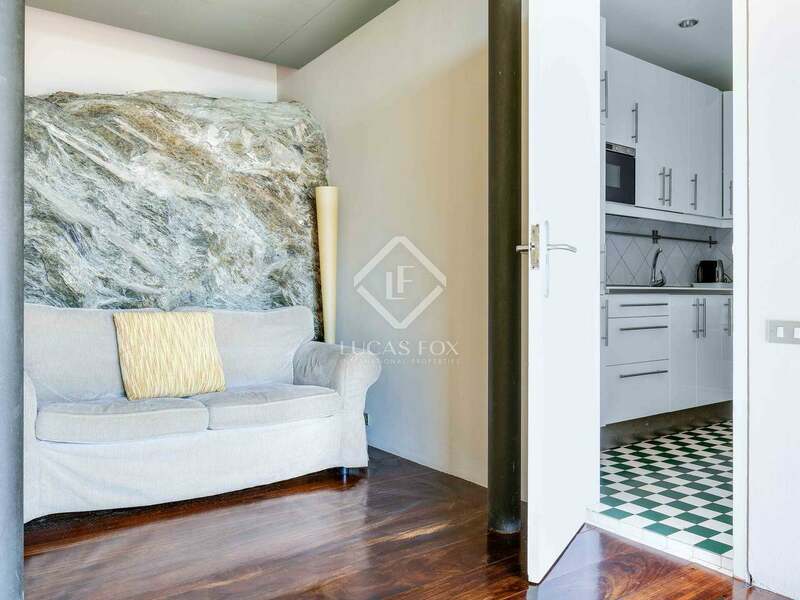 A kitchen, cupboard below the stairs and a hallway with exposed stonework and a sofa, completes this floor. 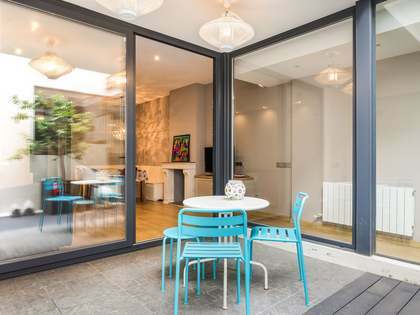 A staircase leads to a floor measuring 81m² with 2 double bedrooms connected by a sliding door. 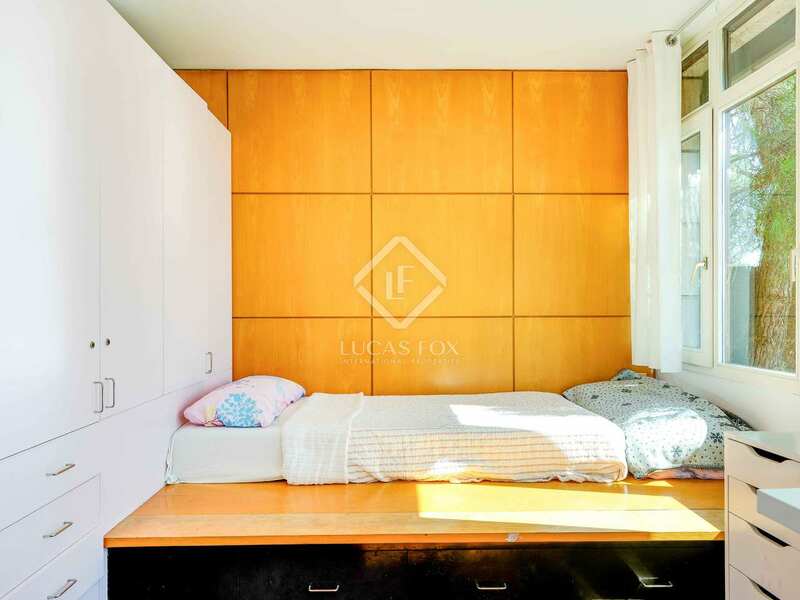 These 2 bedrooms have built in wardrobes, share a bathroom and enjoy spectacular sea views. 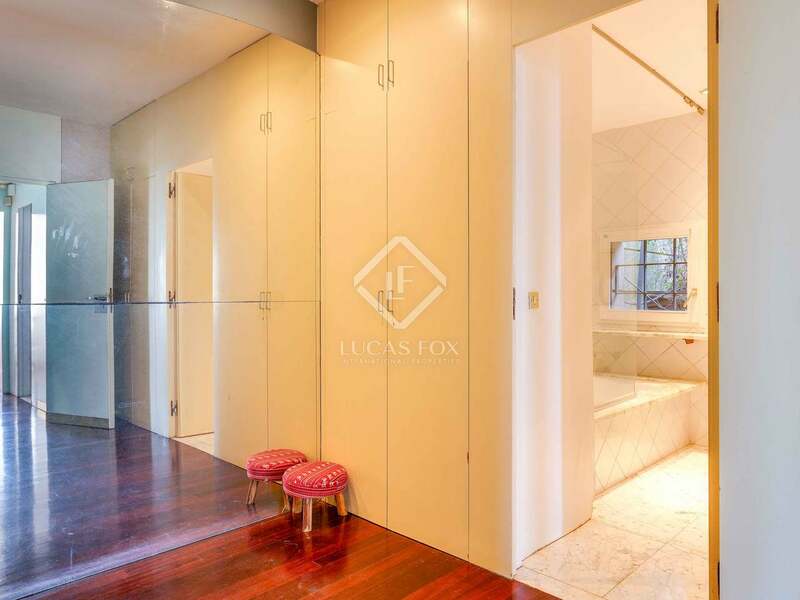 There is also a main bedroom with a wardrobe area and bathroom. 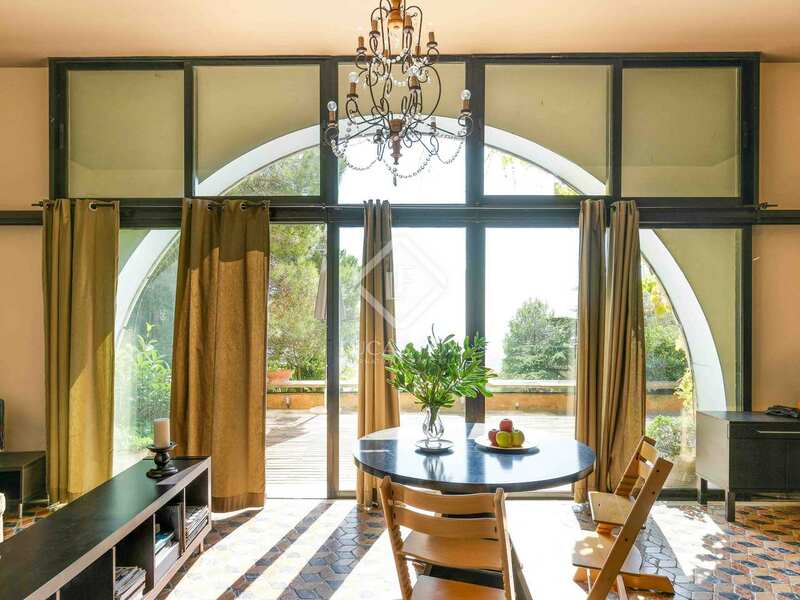 Finally, on the second lower floor, which measures 58.2m², there is a living-dining room with an office area and large windows in order to enjoy the views. There is also a kitchen, a cupboard below the stairs and a hallway with exposed stonework and a sofa. 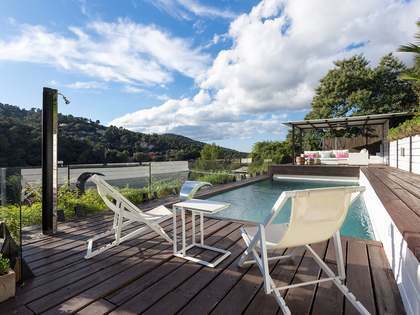 One level down there is a terrace with the swimming pool and installations. 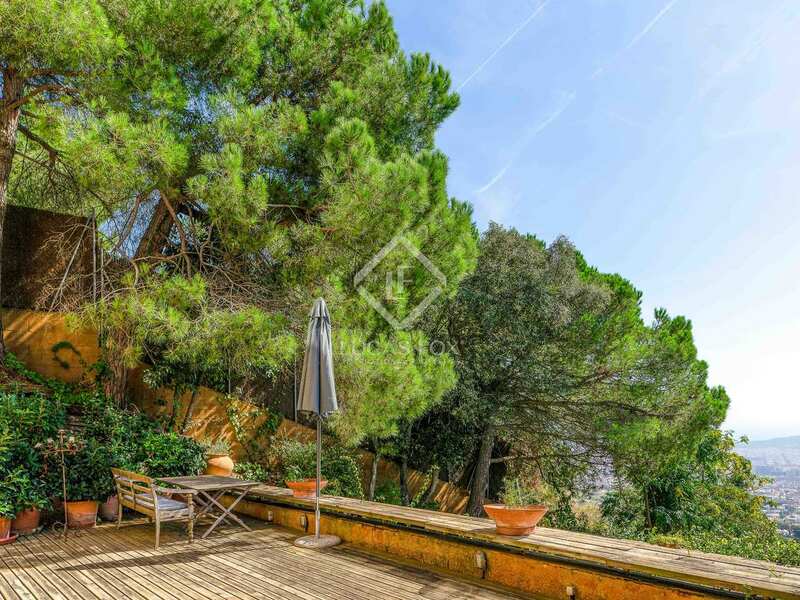 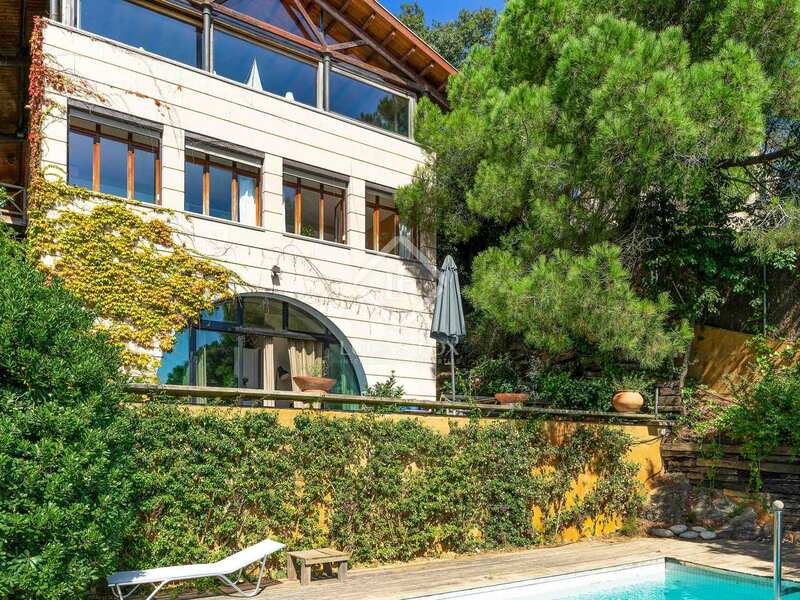 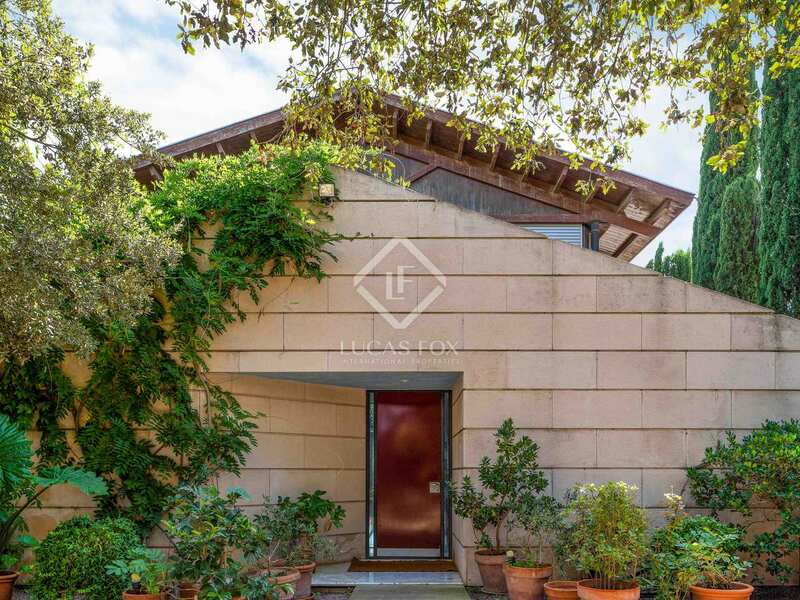 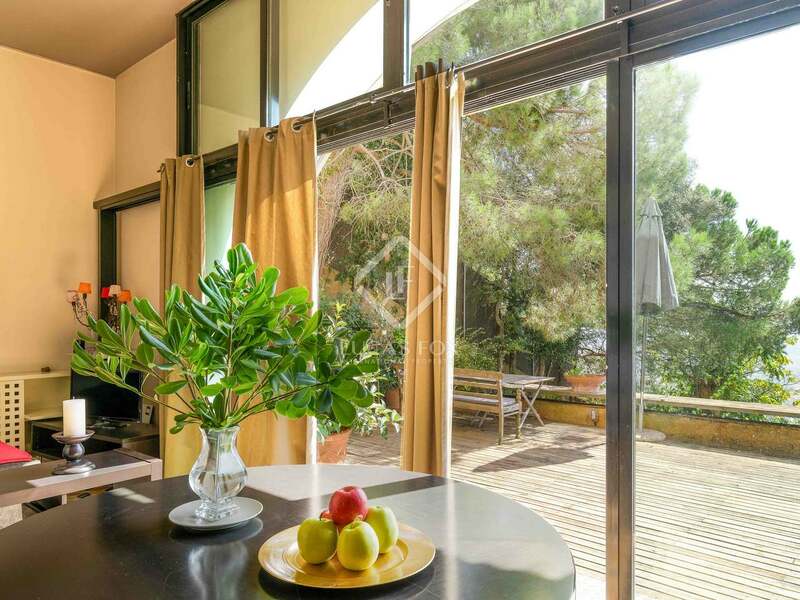 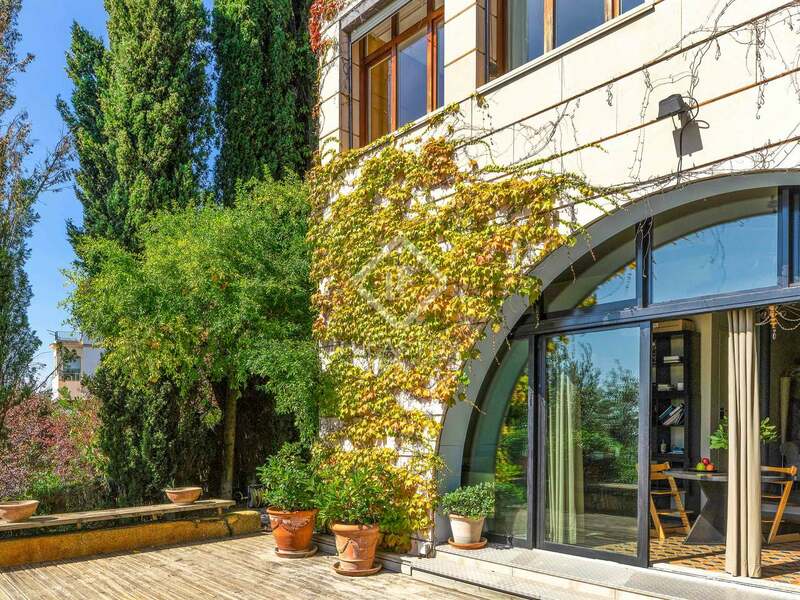 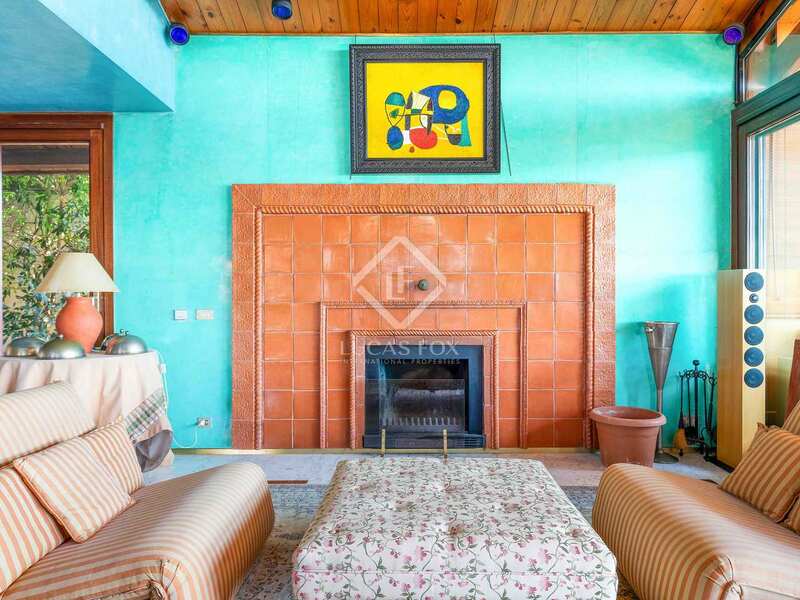 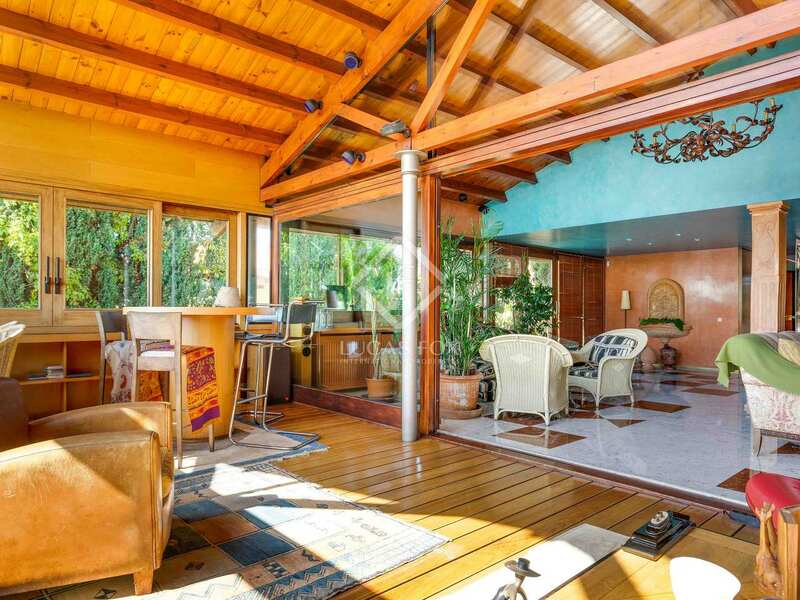 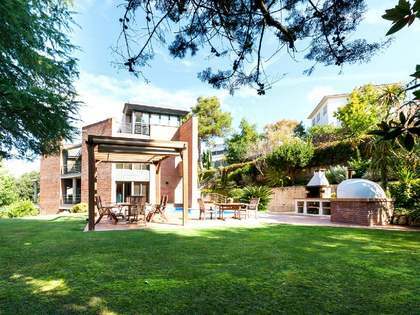 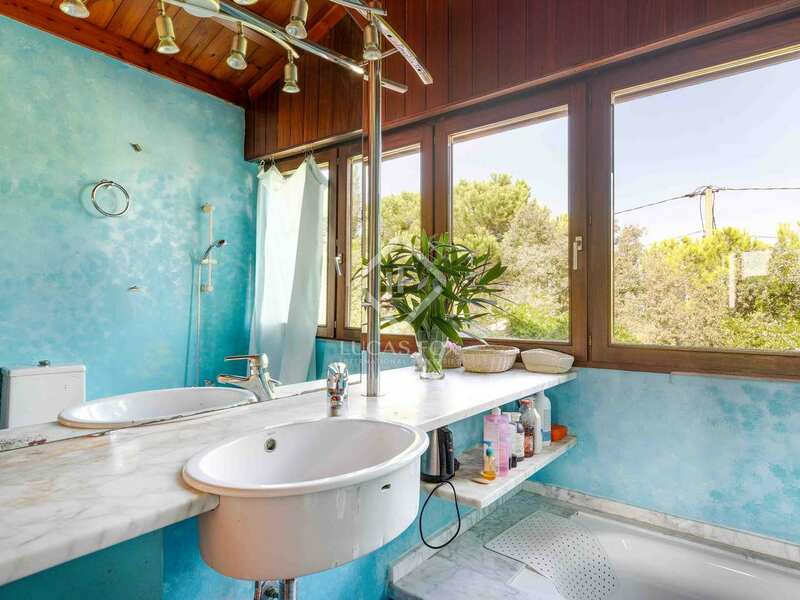 This exclusive property would be an ideal property for those seeking a home in peaceful, natural surroundings yet close to the shops and services available in Placa de Vallvidrera and the rest of the city. 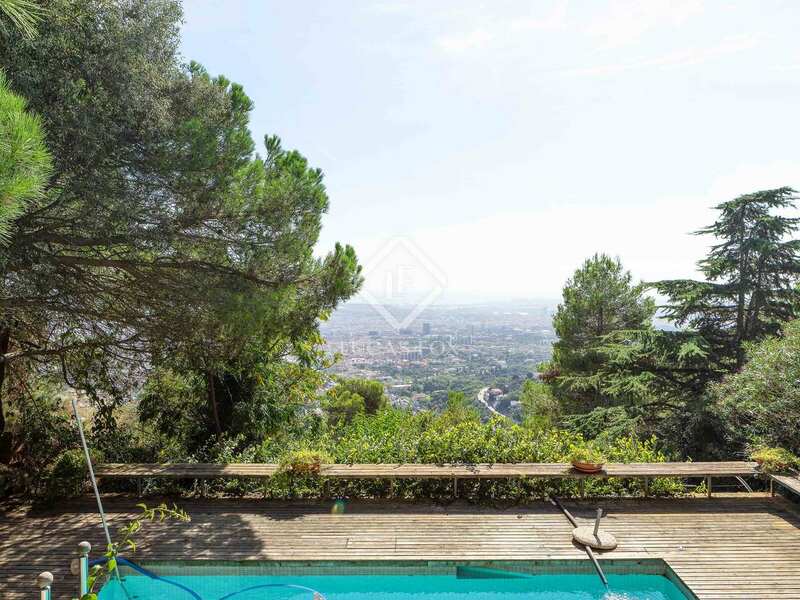 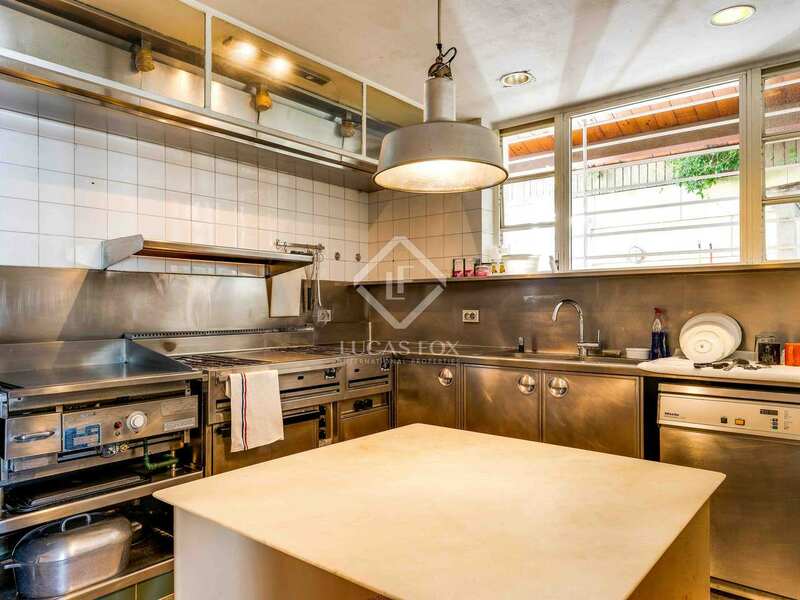 Property located at the highest point of Vallvidrera, very close to the FGC funicular station, the neighbourhood bus service and Plaça de Vallvidrera which has restaurants, a pharmacy, green grocer's and supermarket. 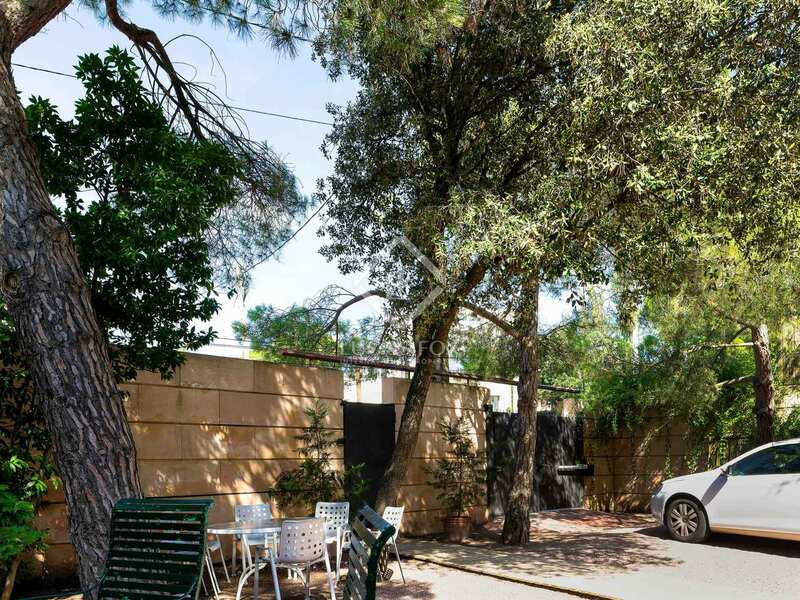 It is a very peaceful area yet has a number of services including health centres and schools. 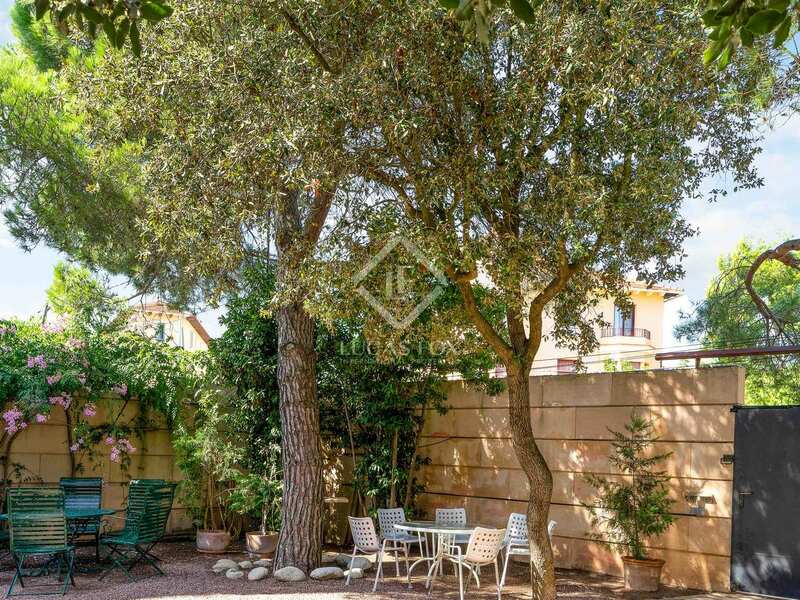 Furthermore, Vallvidrera is vert well connected to the rest of the city by public transport.